Logged into Pinterest the other day to share my latest post and to my surprise, I had an invitation. It was for a board of Garden Tips with 3700+ followers. Thanks again, to all of you who read this little, slowly growing blog and especially those that have given Dirt shout-outs or shared my posts. I’d probably write it whether anyone read it or not, but a little encouragement never hurts! Categories: Gardening | Tags: BeLinda Cordes, Belinda Cordes garden tips, Belinda Cordes Pinterest, belle cordes, belle Cordes garden tips, belle Cordes Pinterest, belle dirt, Belle of Dirt, belle of dirt garden tips, belle of dirt Pinterest | Permalink. Wait a minute… winter gardening? What is there to do besides read gardening books and wait for spring to arrive? Unless you’re hibernating with the bears, there’s plenty you can do during the winter months to get you ready for spring planting. Like the above quote suggests, winter is an excellent time to really take a look at the bone structure of your garden. Like the bones in a face, your garden’s foundation will show through, support and give shape to everything layered on top of it. Architectural elements support the greenery, flowers and fruits of spring and summer. 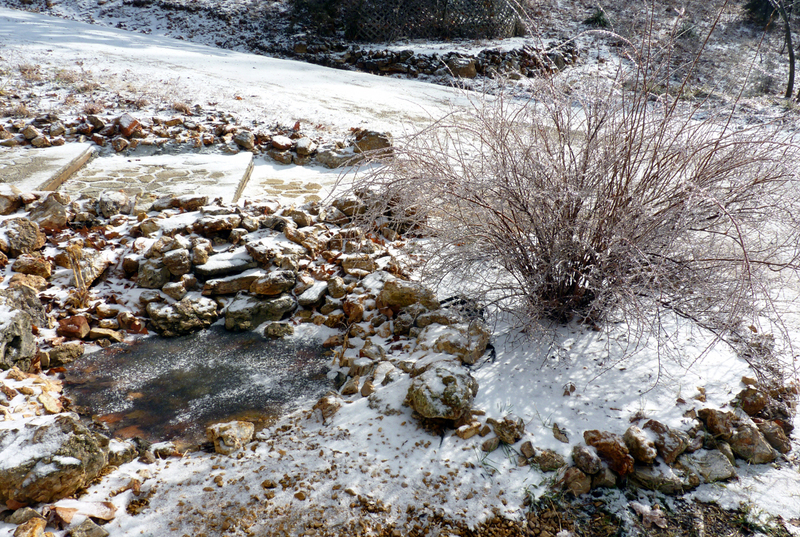 Moderate winter days are a great time to walk about your yard and consider your landscape plan for the coming year. Is a too large plant overwhelming a small space? Does a certain spot lack interest, need repairs or maybe additional support? Now is the time to plan and take care of it, before the area is covered in vigorous growth and becomes an issue in the middle of your busy growing season. If you’re hiring a landscaper this year; schedules tend to be less chaotic during the winter months and you can set up your installs for early spring, before the rush begins. If you haven’t already; clean and sharpen your garden tools, clear out junk in the shed, pick up extra gloves and start browsing those seed catalogs. When I can’t get outside during icy or especially cold spells, I love to shop and plan for what I’ll be doing when it does warm up a bit. Seeds may arrive as soon as early February for starting indoors- 8 weeks or so before the last frost. Order early so you can avoid delays and get the best selection! I like to prune and clean out brushy areas on mild winter days. 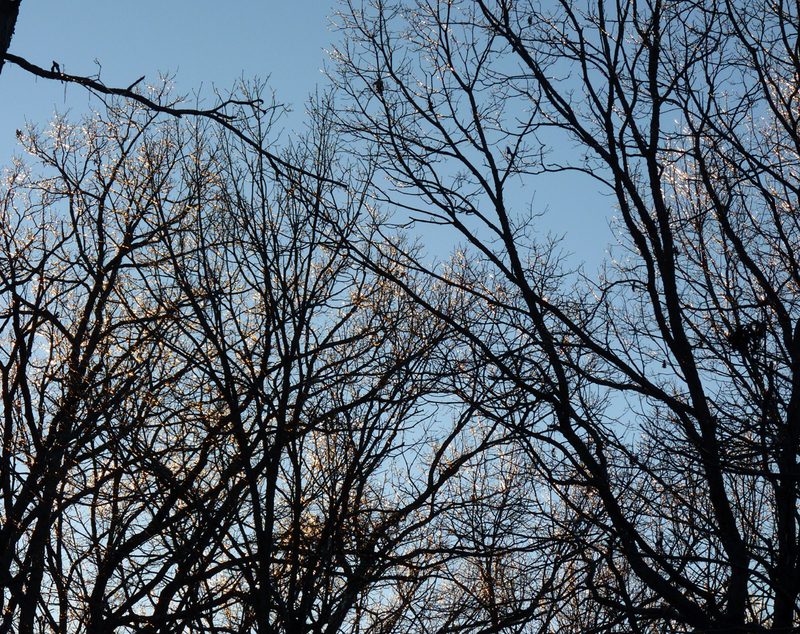 It’s much easier to see the underlying structure of a tree without leaves blocking half your view. 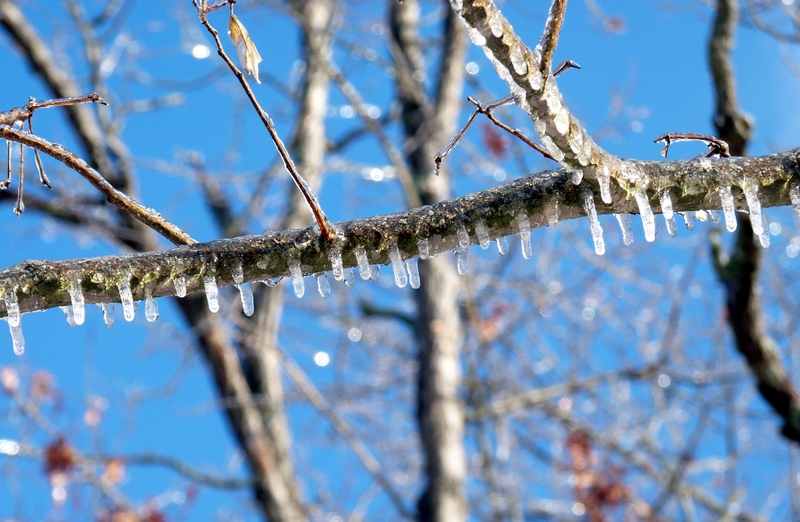 Also, pruning during the cold months helps protect trees from contracting some fungal diseases and pest issues that are prevalent during the wet spring or hot summer months. Our red-oaks are prone to oak wilt in this area- the disease is dormant in below freezing temperatures and MUCH less likely to be passed from tree to tree through infected wood or cause stress to a tree susceptible to infection. If the plant flowers in spring, wait until after it finishes blooming to prune. Vigorous winter pruning of a spring blooming plant means it won’t bloom again until next spring; already, there are small, tight buds forming on several of my blooming shrubs and trees. The early bloomers, like forsythia, burning bush, saucer magnolia (a cold-hearty cousin to the trees in the South) and wisteria shouldn’t be pruned or cut back until they finish flowering in mid to late spring. 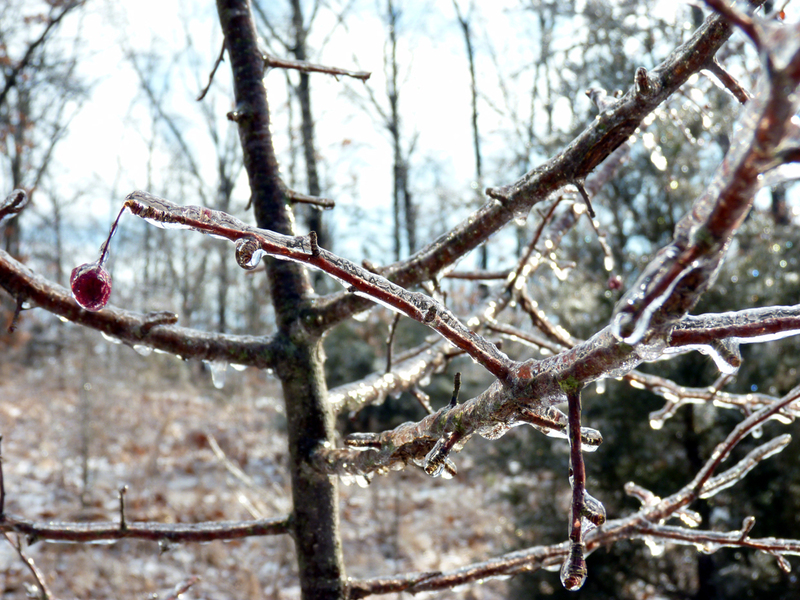 Pruning may be especially necessary to trees following ice storms or heavy snows, due to broken branches. Make a date with your soil. If you’ve never had a soil analysis done, the tests are relatively inexpensive and getting results now will give you plenty of time to learn about what amendments to add when the soil becomes workable in spring. County extension offices should be able to direct you to soil testing labs; some may even provide free testing. Spring clean your window space as soon as those holiday displays are stored away. Growing seedlings need ample light, and warmth to be ready for spring planting. Make room for this temporary garden space before your seeds and sets arrive. 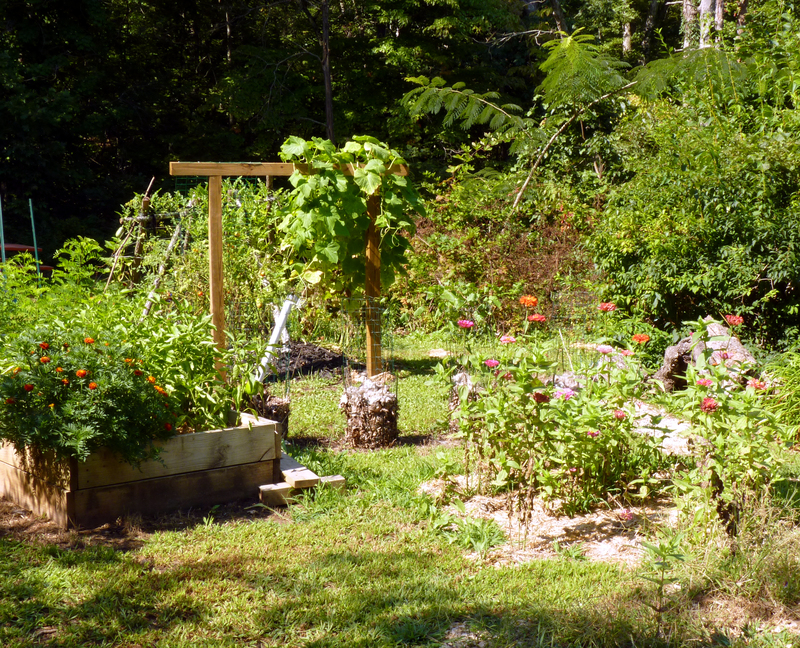 You can still amend garden beds for spring, if you didn’t do it in the fall. I’ve been adding cardboard to various areas of my yard and garden since December. Don’t work the soil if it’s frozen or too wet, you can damage the structure. What you can do is add coffee grounds, tea grounds, egg shells, cardboard and leaves until the compost pile begins to warm and the soil isn’t frozen solid. This will give you a jump start on enriching the nitrogen and calcium in your beds as well as helping to warm the soil faster when the snow and ice finally exit stage left. I’ve also read that a thick layer of cardboard in the fall/winter months can all but eliminate the need to till or weed a garden plot before planting in spring. 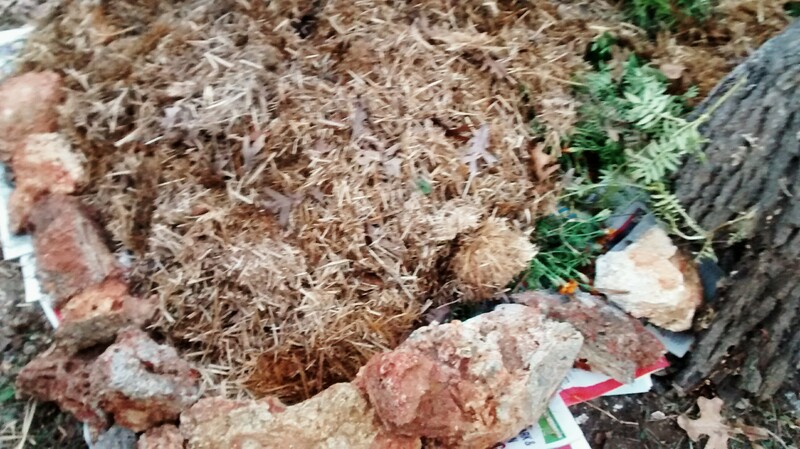 I covered our beds in late fall with a layer of cardboard and black weed barrier that I could easily remove when I’m ready to start moving seedlings outside. This is my first year trial, so I can’t vouch yet personally for its success. I’ll be sure to post comments or updates this spring when I find out. Categories: Gardening, Landscaping, Landscaping Plants | Tags: BeLinda Cordes, BeLinda Cordes Lake of the Ozarks, Belle of Dirt, belle of dirt garden, don't prune spring flowering, edible garden, garden architecture, garden bones, garden planning, garden structure, ordering seeds, planting seedlings, Pruning shrubs and trees, pruning trees in winter, seed catalogs, seed starting, seedling preparation, soil amendments, soil testing, spring garden prep, warming soil for planting, winter garden, winter garden checklist, winter garden prep, winter garden structure, winter garden tasks, winter gardening, winter pruning | Permalink. I’m making a few updates to Dirt for the new year, starting with a new theme. I’ll be moving some links and things around to new pages, so if you can’t find an archived article or something, bear with me just a bit. The current theme has also moved the email sign up to the very bottom of the front page, not that I have so very many followers, but if you want to sign up- it’s down there. Hopefully it won’t take long to get all this worked out and back up and running soon. 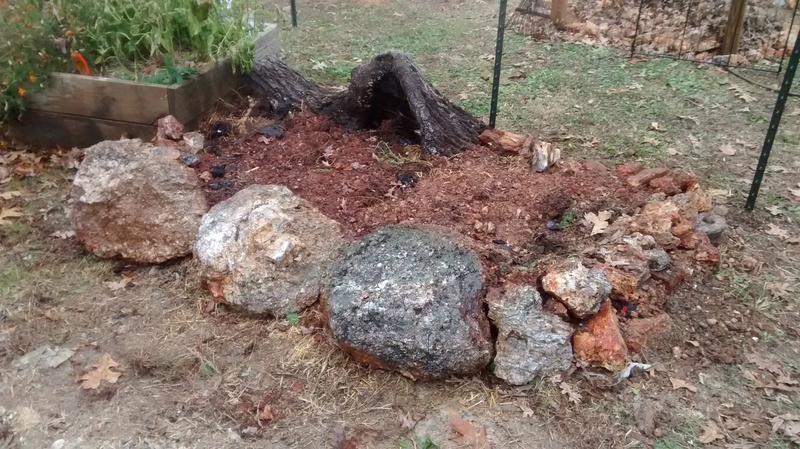 I figure the middle of winter is a great time to do a bit of rearranging on a yard and garden blog and I start to feel stagnant if I don’t shuffle things around on occasion. I’ve added a new URL as well. So if you know me personally and want to visit the blog but can’t remember the whole “dirt” thing, just type bellecordes.com into your little address bar and it will take you straight here. Time to go make some dinner that my kid won’t eat. Categories: Uncategorized | Tags: belinda cordes. belindacordes.com, belle cordes, belle dirt, Belle of Dirt, bellecordes.com | Permalink.